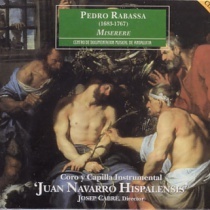 Pere Rabassa is one of the most significant Spanish Baroque composers. As a choirboy at the Cathedral of Barcelona, he was trained by one of the most important figures in the 18th century: the theoretician and composer Francesc Valls. 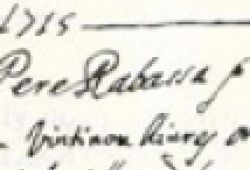 In 1713, he was appointed choir master at the Cathedral in Vic and then went to the Cathedral of Valencia in 1714. He moved to the Cathedral of Seville in 1724 where he lived until his death in 1767. 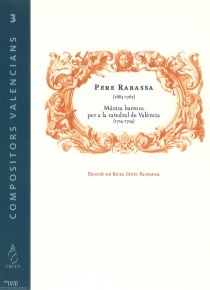 Rabassa was very active as a composer: not only did he write a large number of choir works (300 catalogued compositions), he also wrote a treatise for beginners, Guía para los principiantes (1725-1730 ca.) 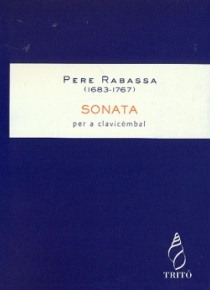 that is one of the most important 18th c. sources on compositional technique. 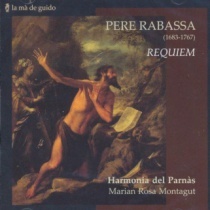 Besides this, his works were widely disseminated throughout the Peninsula and in Latin America, and, furthermore, his music has been re-evaluated as can be seen in the numerous re-editions of his works, especially since the 1990s- and many of his Latin works, oratorios, cantatas and villancicos have been performed.